How Do I Switch to Conversational Forms? 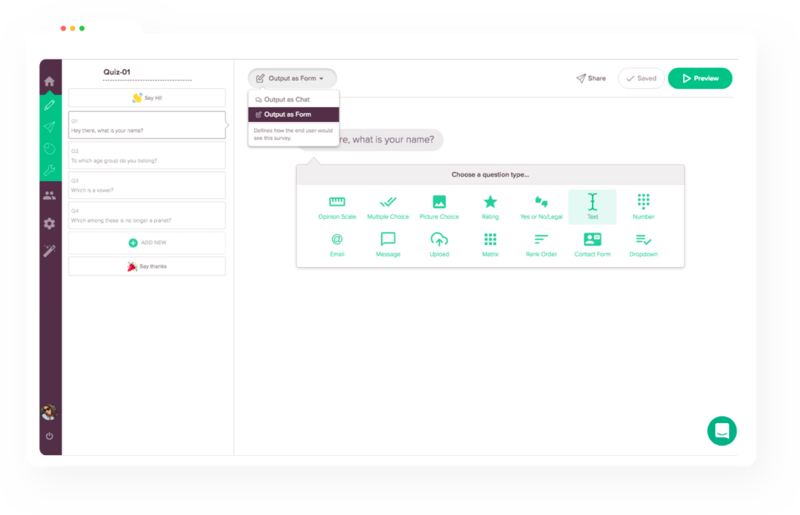 With Conversational Form, you can include diverse question types like Matrix Question Type, Rank Order, Drop Down, and so on. Conversational Form thus supports these new question types along with the existing ones. To switch the end user view from chat-like surveys to conversational form, click on the Output as Form icon on top of the survey builder page. Here you can opt for either chat-like interface or conversational form.